5 more tiles ready for the mural! In Inuktituk nuna, ᓄᓇ means earth, nature, land. 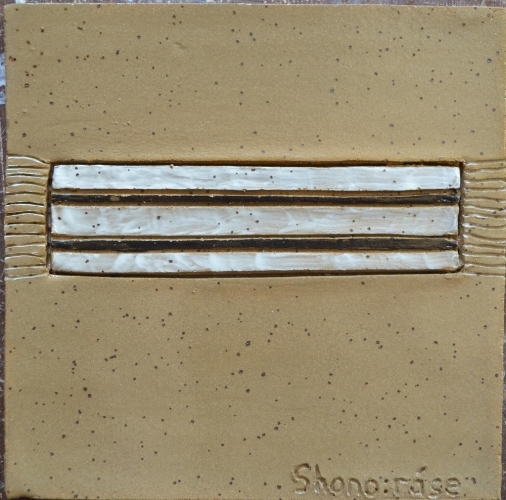 This tile maker said "Nuna is us. 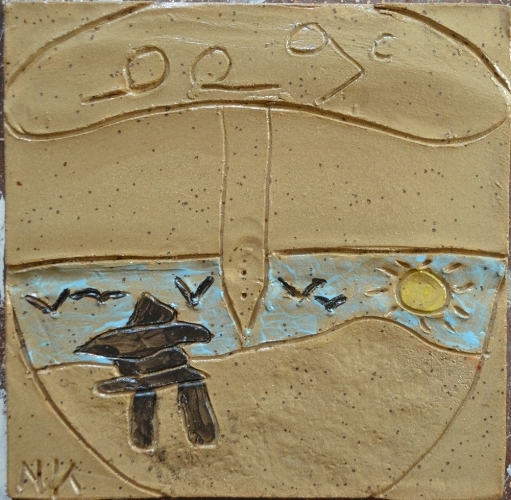 The Inuit People"
Kawennihes is the tile makers Mohawk name. 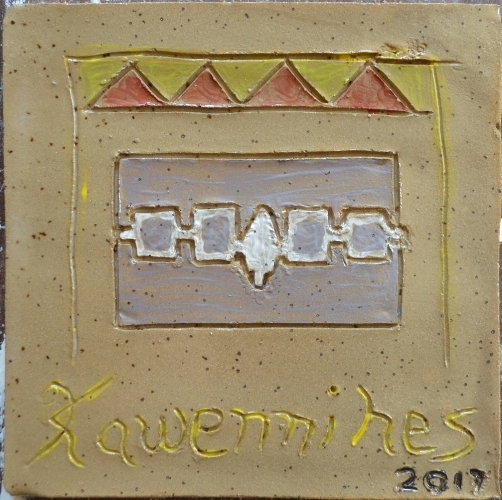 The Iroquois Confederacy symbol is also seen in the centre of the tile. A representation of the original Two Row Wampum treaty belt. A Wampum is a traditional shell bead that was often kept on strings and used in storytelling, ceremonial gifts, and recording important treaties and historical events. In 1613 a mutual treaty between the Dutch Government and the Five Nations of the Iroquois (Haudenosaunee) was recorded on The Two Row Wampum treaty belt. The agreement is considered by the Haudenosaunee to be the basis of all of their subsequent treaties with European and North American governments.